Below you can view all the homes for sale in the Kings Cove subdivision located in Marietta Georgia. 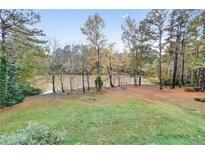 Listings in Kings Cove are updated daily from data we receive from the Atlanta multiple listing service. To learn more about any of these homes or to receive custom notifications when a new property is listed for sale in Kings Cove, give us a call at 404-998-4102. Easy Access To Freeways, Close To Shopping, MLS#6530247. Berkshire Hathaway Homeservices Georgia Properties. Would Make A Great In-Law Suite Or Apt! Expansive Deck & Fire Pit! MLS#6529259. Re/Max Town And Country. 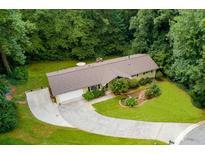 Excellent Schools And Low Cobb County Taxes Make This Home A Great Buy! MLS#6512046. Keller Williams Rlty, First Atlanta. Don'T Miss Out On This Charming Home! MLS#6512380. Realty One Group Edge. Beautiful 5 Bed, 4.5 Bath Lakefront Home W/Basement In Top East Cobb Schools*Open Floor Plan*Fabulous Lake Views From Every Room*Fresh Paint Inside/Out*Newly Refinished Hardwoods*Spacious Kitchen W/2 Islands*Separate Dining Room*Screened Porch & New Multi-Level Deck*Private Master Retreat W/Deck Overlooking Lake, Spacious Master Bathroom W/Double Vanity, Large Shower, Jetted Tub, Add'L Washer and Dryer Connection & Walk-In Closet*Finished Basement W/Media Room, Wet Bar, Bedroom & Full Bath*3-Car Garage W/Storage*Large, Flat Backyard*Exterior Storage Room*Active Hoa (Pool, Tennis & More) MLS#6509190. Keller Williams Realty Atl North. All Of The Bathrooms Have Updates Including A Full Bath In The Finished Basement. MLS#6122070. Atlanta Communities. Fresh Paint Inside & Out W/ Custom Exterior Shutters. Ready To Move In! MLS#6110464. Keller Williams Realty Metro Atl.